Attendees watch as Rodney cues up their design in the Laser Engraving/ Cutting Class. 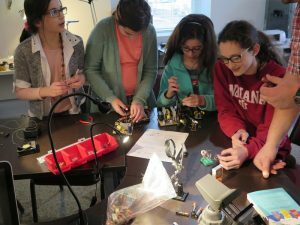 Since last summer Castlemakers has been teaching more STEM/STEAM/Making classes for anyone interested in our community. If attendance and topics can be a judge, then our effort has been a success! 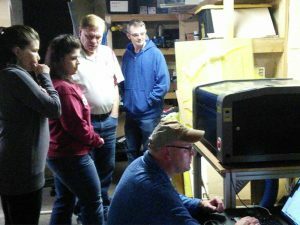 Our March Introduction to Laser Cutting class, which we wanted to limit to 8 people, had 10 people (squeezed a few more in at the last minute) including folks that drove from Kokomo & Whiteland, IN to attend. People uploading test code to the ESP8266 based IoT device they built so it will broadcast temperature & humidity. In April, we took on a very challenging current topic – Internet of Things (IoT). 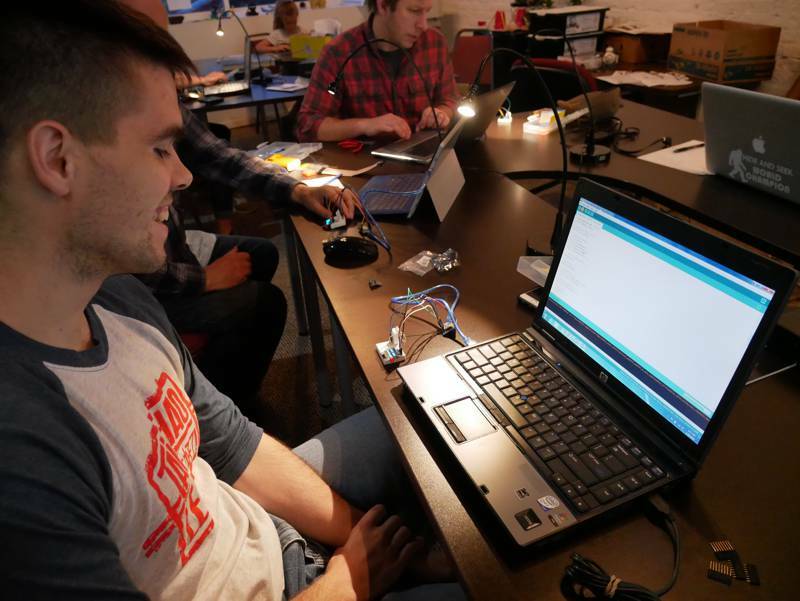 The IoT class allowed people to not only learn about IoT & but also build an IoT device that they could take home. We’ve already had additional requests to learn about it and will repeat the class again in the future. 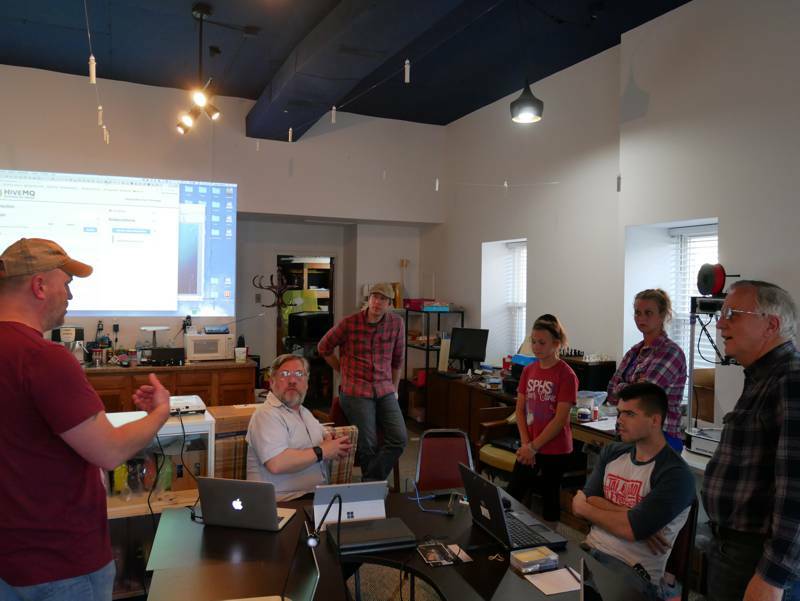 Group discussion of how the IoT device gets data to a webpage that students were accessing. In May (5/24) we’re starting a new class series called Design to Product. We’ll begin by teaching folks how to use 3D software (like Fusion 360) to design a product, then in subsequent months you’ll learn how to make them using a 3D printer, laser cutter, or even a desktop CNC machine. Visit our classes webpage to find out more or subscribe to our events email list to keep up-to-date on learning at Castlemakers. 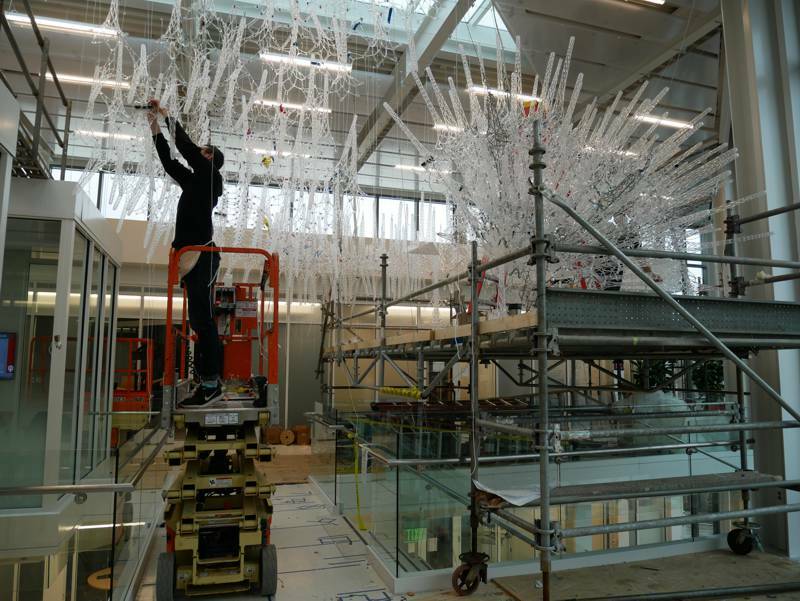 Fourth floor view of the new interactive sculpture being built in IU’s new Luddy Hall. 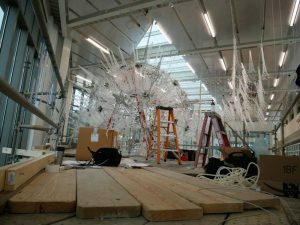 If you’d like first hand experience in building a kinetic art piece, Volunteers are needed through 3/31 with a new sculpture created by Phillip Beesley and the Living Architecture Systems Group in Bloomington. “Amatria” is a sentient architecture installation on the 4th floor of Luddy Hall just off 10th street that will be visible within the campus. Installation of components & wiring for the new Amatria sentient sculpture. 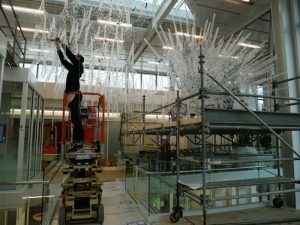 The new sculpture is composed of polymer & metal scaffolding structures that hold glass vessels (including vinegar batteries) that power the LED lighting & kinetic mechanisms responding to motion & sound. Most makers will recognize many of the components, from Adafruit circuit boards to laser cut acrylic components being made on location. The delicate mechanical moving structures alone are amazing, but with the network wiring/sensors/circuitry and software add another whole level of complexity. It’s not running yet, but will be by the new building’s grand opening April 9-13. Check it out sometime or better yet volunteer by 3/31 for great hands-on experience with an extremely complex Internet Of Things (IOT) sculpture. A flyer is posted on our Makerspace window with more details or you can simply visit the 4th floor of Luddy Hall in Bloomington between 10am & 7pm through 3/31 to volunteer. 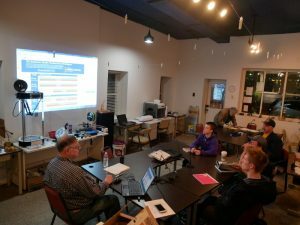 We’re also offering an IOT class on 4/26 at the Makerspace, although for beginners, not anywhere near this level! 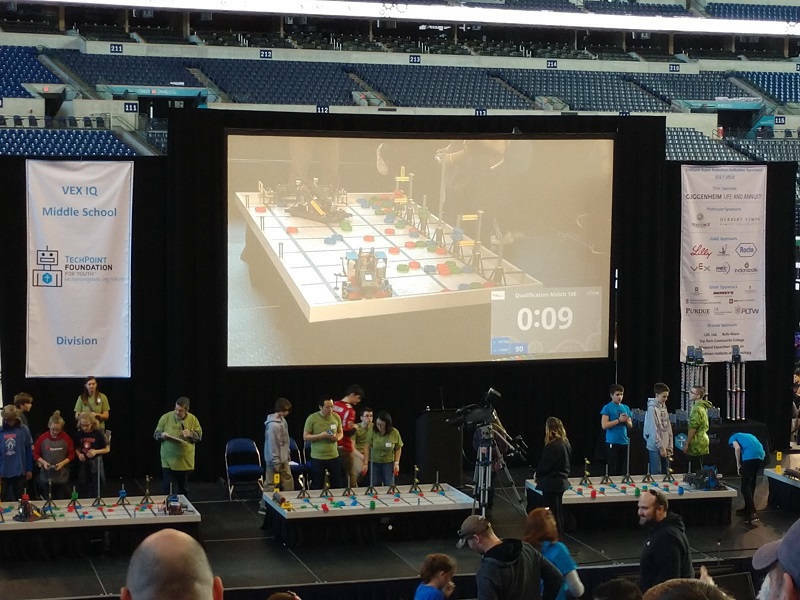 Indiana VEX Robotics Championship on 3/10/18 at Lucas Oil Stadium. 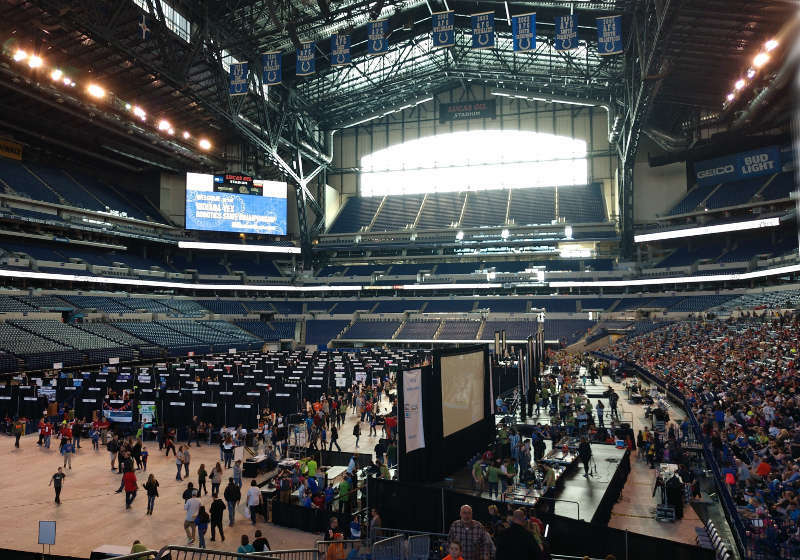 If you missed the Indiana Vex Robotics State Championship in Indianapolis last Saturday, you missed a great event. 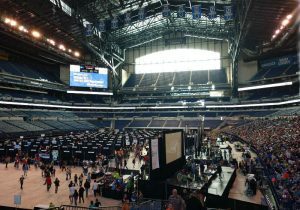 This was the first time it’s been held at Lucas Oil Stadium and despite stadium size with over 300 teams participating on 6 stages it seemed like the right choice! One of the middle schools competing in the competition. 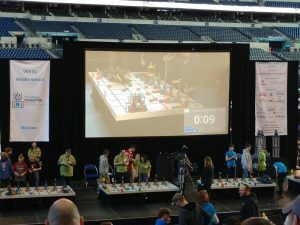 Indianapolis has hosted VEX robotics competitions for at least 6 years – an initiative that came out of the mayor’s Office of Education Innovation. Each year it’s grown and with Techpoint Foundation for Youth’s (TPF4Y) statewide elementary school initiative, they became the host for 2018 event which combined 3 separate events (elementary, middle school, & high school) in 2017. With over 900 teams in Indiana, I was unable to find anyone that made it to the event from our area. Should Castlemakers help organize a local event to encourage more teams? Comment or send us an email (info@castlemakers.org) if you think we should! Students learn about Amateur Radio Technician license radio privileges and operating procedures. 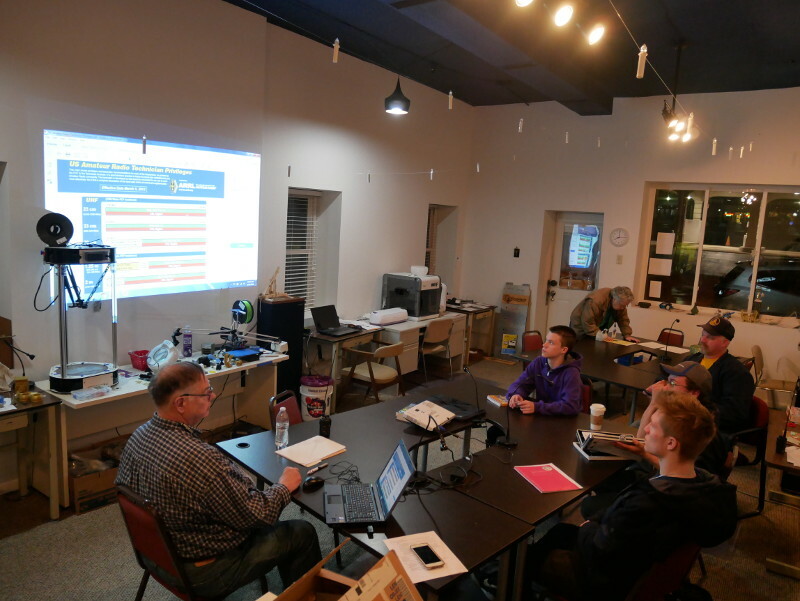 Last night PCAUXCOM, the local Amateur Radio emergency communications group, began a FCC Amateur Radio operator’s license class at Castlemakers. It’s a great way to study for the test – although you can self-learn the material to get a license. What they’re doing however embodies what often happens with vocations and hobbies – people practicing and learning with other people. Not only to learn quicker, but for enjoyment too. It can help make challenging things easier; in some cases even provide focus and accountability. In today’s noisy world with more opportunities than time that’s often difficult. 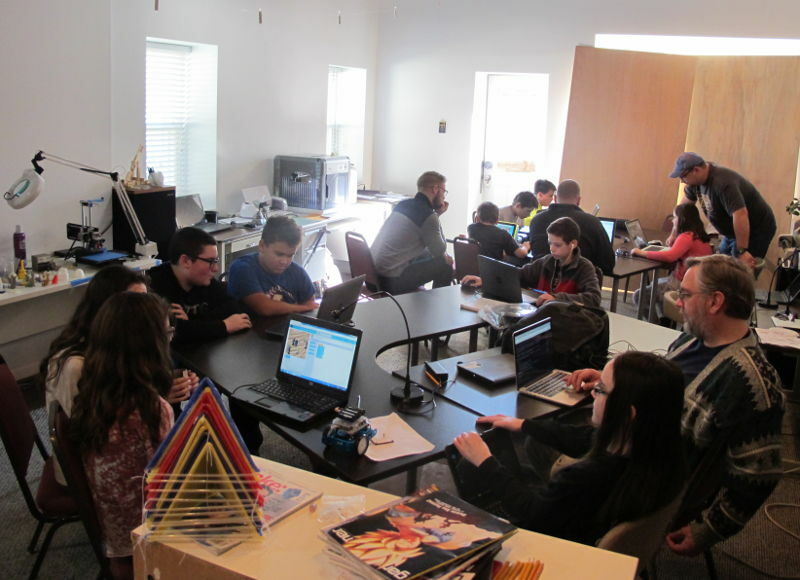 Makerspaces, and one of Castlemakers’ goals in particular, can bring communities of people together to share knowledge and skills by providing a space, events, equipment, and even just a reason for people to share something. Whether it be a CoderDojo (bringing kids and programmers together to explore programing languages), folks interested in 3D Printing (which also met last night to see printers in use at a high school classroom), or Amateur Radio operators and emergency volunteers assisting others to get a communications equipment operating license. The PCAUXCOM group is meeting every Monday evenings from 6:30 to 8 pm at Castlemakers, it’s free and open to all, and still not too late to join in. They will also be offering a licensing test locally here in Greencastle just after the course is finished, contact George Edenfield for more information. The instructions & a few of the ‘thiefs’ we made to test out the circuit. This last Sunday, for our first Castlemakers Kids meeting of the year, eight kids (and a few adults) learned about the electronic circuit called the “Joule Thief.” It’s a fun circuit that has gained some popularity in hacker circles, yet a lot of people don’t know about. 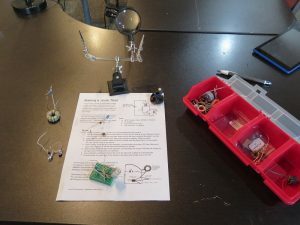 Two factors make it a good kids project: The simplicity of the circuit and you don’t need to understand the electronics behind it. 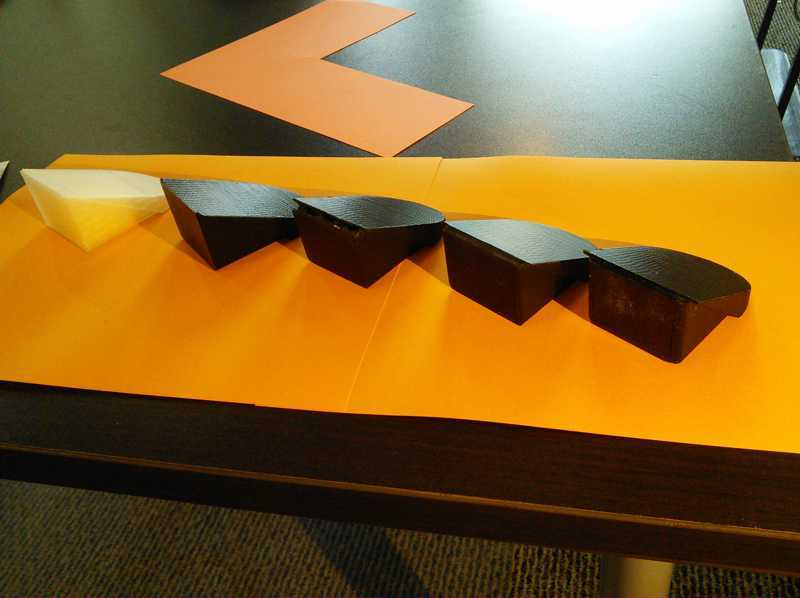 For inquiring minds it can challenging because it’s not immediately obvious how it works. A group of the girls at the meeting assemble the parts mostly scavenged from other electronics. The name is based on getting extra energy (joules) out of dead batteries. Or at least batteries that most people think are dead. The circuit, with only 4 components, can use as little as .5 volts from a single dead cell AA battery and boost it up over 3 volts – more than enough to light up a white or blue LED. Even a brand new 1.5 volt AA battery won’t do that! For the more technically minded it’s a simple blocking oscillator (IMHO not an Armstrong since there’s no capacitor) that pulses higher voltage using a inductor, resistor, and a transistor. There are lots of different ways to make the circuit, which turned out to be part of the fun. We tore apart computer power supplies to get the toroid coils, but also experimented using parts from burned out Compact Fluorescent Light (CFL) bulbs too. We found out the CFL parts worked great & possibly how we’ll do it in the future – although it can be tough to wind the toroid from some of the newer CFL bulbs. One future experiment – the Joule Thief circuit can charge dead rechargeable batteries, another great way to get energy out of supposedly dead batteries! Castlemakers CNC addition, a Nomad 883, making a wrench out of a piece of aluminum. Thanks to several generous gifts, Castlemakers added more equipment in 2017. 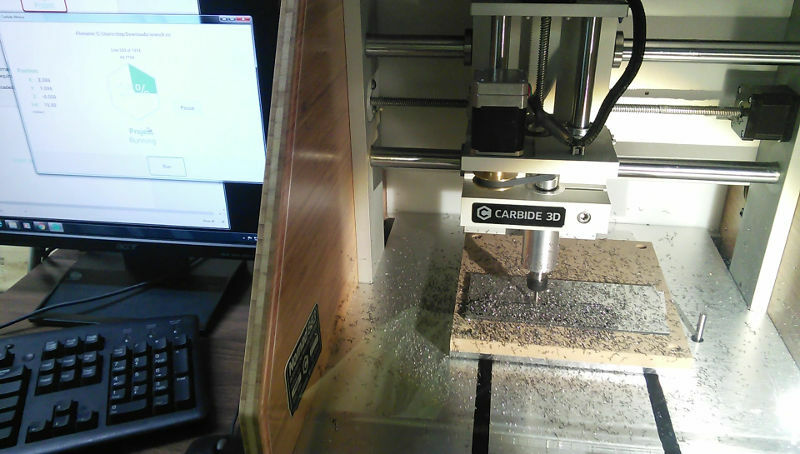 Perhaps the most notable was our desktop CNC (Computer Numerical Control machine, a Nomad 883) which we’ve now put into use and will be offering the first class in January. Techpoint Foundation for Youth also gave us 10 Chromebooks, which are getting heavy use in our Castlemakers CoderDojo (a youth coding club) and the gift helped with our classes. Since last June we’ve had general public STEAM oriented classes essentially every month for the old and young. 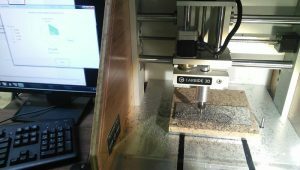 From 3D printing & Arduinos to lasercuttering, they provide practical learning using technology where the participants take home something they make. What a great way to learn! 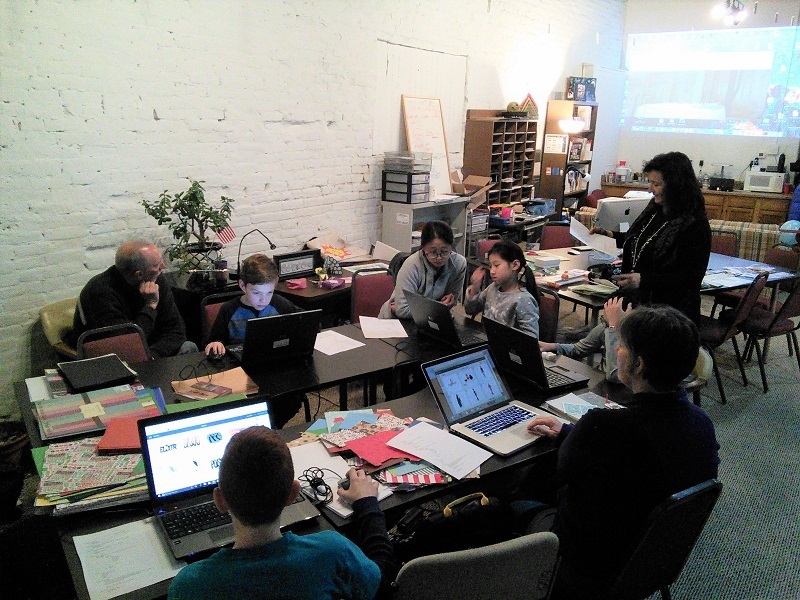 Castlemakers CoderDojo met the first Saturday afternoon of every month in 2017. With a new Makerspace soft opening in December 2016, memberships now offer 24/7 access to the physical space and equipment. ‘Open shop’ times offer anyone a chance to use/try the equipment for their own projects. But the real value is the associated people/members and their knowledge. Plus it’s a great way to try/use an expensive piece of equipment that you can’t justify for yourself. 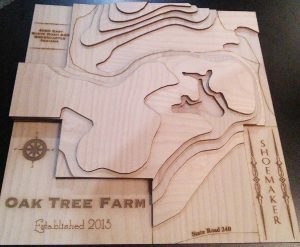 Rodney created this 3D wooden map using a downloaded USGS topo map, oak plywood, & our CO2 laser. But the real growth is with the makerspace community & people. It’s the December CoderDojo with 10 kids spending their Saturday afternoon practicing computer coding along with showing and sharing what they were working on. You could see kids programming a tablet to adults there teaching robot navigation and a 12 year old coding a humanoid walking in an online landscape he designed. 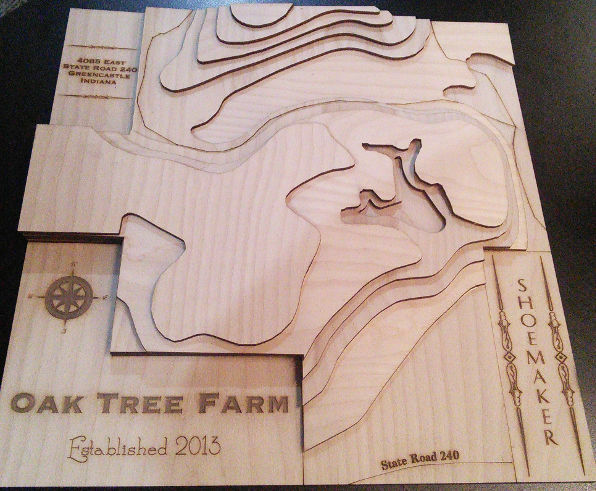 It’s also listening to a member take what he learned in our laser class to create a wooden 3D map of his farm. It’s a 3DPO regular showing off the 3D printer he designed or seeing the cable supported 3D printer in which the print size is only limited by the room’s walls. 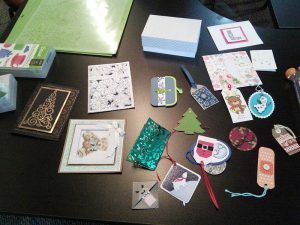 In the December class we learned how to design and create a greeting card with an electronic cutter. Our December class was something new for many of us, learning about electronic/vinyl cutters. There are several different brands available; we were given a desktop Cricut and there’s some local expertise so that’s what we used! But the basics apply to all of them. The Cricut Explore we have in the Makerspace will cuts and draw using different color pens on a variety of different thickness material including paper, foil, vinyl, cardboard, fabric iron-on, magnets, and even emboss leather. Examples of items made with an electronic cutter. Laurie Hardwick, who has several Cricut machines, taught the class & did a fabulous job. After showing some great examples, she then covered the design software. With a 2 hour time limit folks chose to modify existing designs, but it is possible to import images into the software (and perhaps a later class). It was amazing how such a professional looking product could be made in such a short time! Several folks wanted to come back and try more. Our machine is available for anyone to use during open shop times or even by special arrangements. Castlemakers also offered to host a meetup for Cricut or Silhouette users, just get in touch with one of us. Last year we had one girl come in and create letters for her 4H project, it certainly makes it easier that using stencils or cutting out your own! Course setup, we even had a few homemade putters in the bucket by the door. 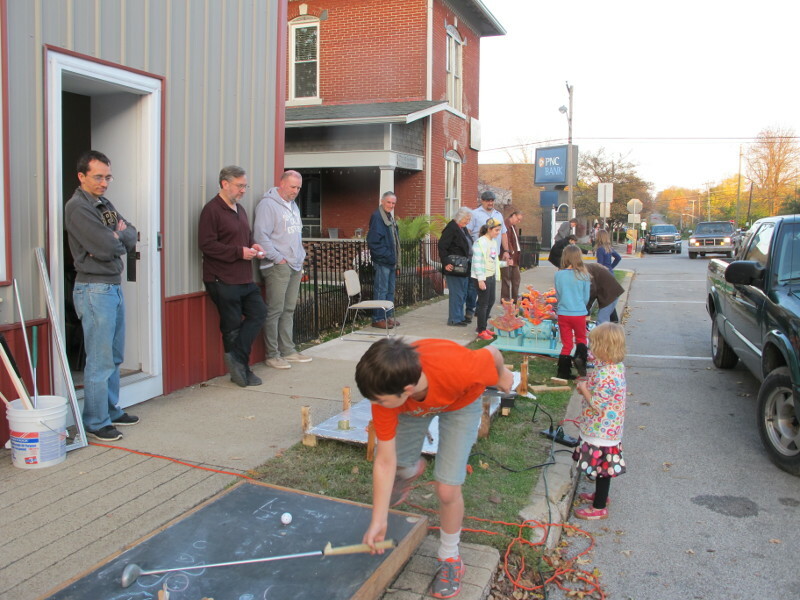 Earlier this month we had our 2nd annual ‘build a mini-golf hole’ competition, which was held at new location at the Makerspace downtown. Well, sort of… too many holes to have it inside, so we lined them up on Franklin Street sidewalk in front of the Makerspace the first Friday of November. And what perfect weather it was for playing a round! 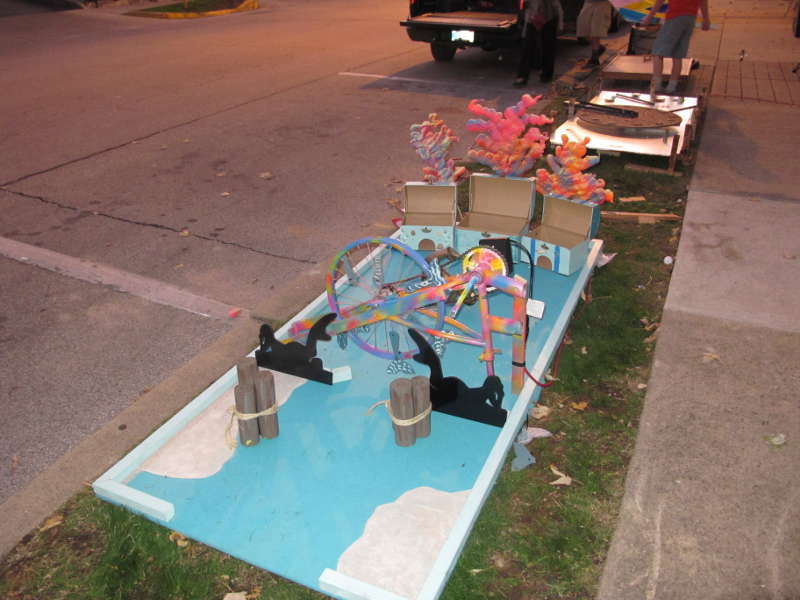 Always love to see creative mini-golf holes and this year’s build was no exception. The guidelines are on our Putt Putnam County webpage, but the basic idea is simple: get together a group of folks and build a hole. We provide materials, create/add you to a team & mentors if you need it, plus a time/place to play when done. And of course those cute little pencils and a scorecard. Getting past the rotating mermaid tails to reach the treasure is tough with Under the Sea built by the Green family. 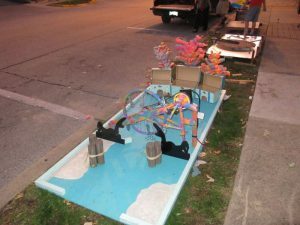 This year there were a few more family built holes, but it was a mix of different team entries. Of the eight holes there, a personal favorite was Antigravity – you can view a video here of this creative hole in action. This year there were a lot more moving part entries, a category we added this year. Under the Sea’s motion was impressive (and it’s assembly/disassembly capability) and the steam punk look of Time Turner’s entry turned out even better than the builder’s thought. Time Turner was built by 11-12 year old kids using a BBQ rotisserie motor and old bicycle inner tube to rotate the clock face (there’s a paddle underneath). 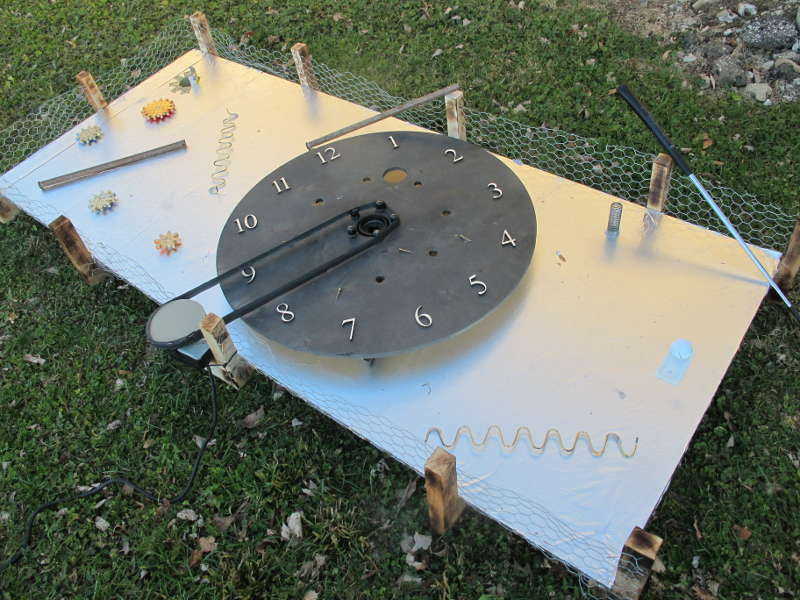 The pulley and golf ball tee were 3D printed & the clock numbers were cut with the Makerspace laser cutter. Our goal next year is having an earlier completion date at a First Friday event downtown and more community organization built holes. Start coming up with your ideas now; you don’t need to be involved in Castlemakers to participate & have fun! Thanks to all the participants that built holes, mentors that coached the younger teams, and everyone that came out Friday evening to enjoy the fun. And to Headley Hardware for donating some of the project materials. And of course our monthly CoderDojo is Saturday 11/4 from 1-4 pm at the Makerspace where youth are always invited to learn more about computer coding from professional programs and other kids! 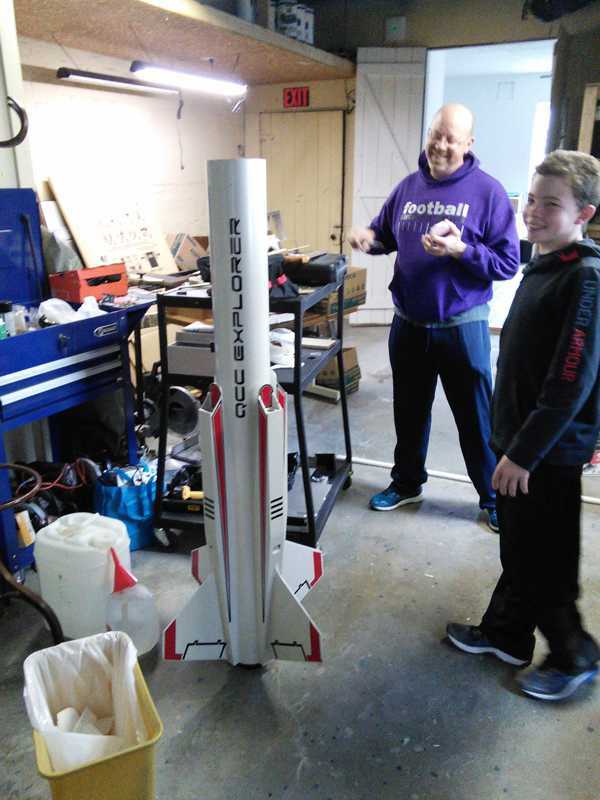 First stage of the model rocket that Nick launched in the fall of 2016. If you walked by the Makerspace this summer and looked in the window, you may have noticed a very large model rocket. It was the first stage of a creation that Nick Adams, who taught our ‘build a model rocket’ class, built last year and launched. Several people have stuck their head in since it left and asked us where the rocket went. The short answer is he prepping it for an even higher/faster launch this Labor Day weekend in Kansas. Earlier this year Nick asked if we could make something that would plug the air intake holes, the kind of project we love! When you go supersonic a flat surfaces creates even more turbulence, so for his upcoming flight he wanted a more streamlined version. Plugging 4 intake holes on the side of the rocket would help. Different versions of the intake plugs. We initially fabricated a plug out of foam, using a hot wire cutter at the Makerspace, then scanned the piece so it could be 3D printed. Creating the styrofoam piece was easy, scanning… well the Makerbot Replicator we have wasn’t quite up to the task initially. Learned that covering the foam with masking tape helps (the foam color and irregular surface created problems), but it was still less than a satisfactory design. 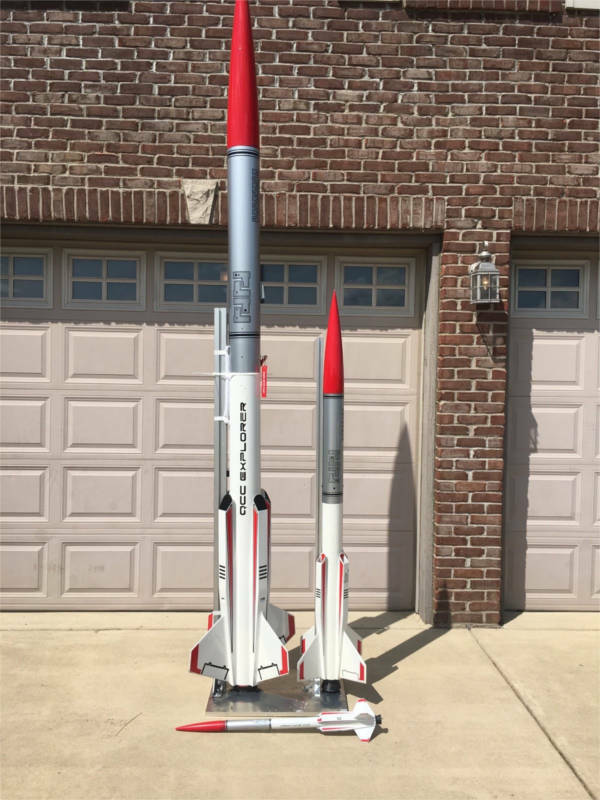 Nick’s QCC rockets assembled, the one on the left has black intake plugs installed. Then one of our younger makers, Ephraim, helped by creating by creating a quick model in Autodesk’s Inventor. That design came closer, but we missed measuring a few key dimensions like the chamfer where the plug goes into the rocket. We finally ended up redrawing with Fusion 360, which turned out to be the best solution. Although the program has a steep learning curve, it allowed us to make several more design changes quickly & easily to get the 4 pieces printed out last month. 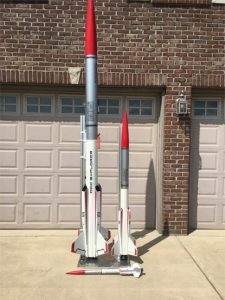 This weekend Nick’s letting Castlemakers take the rocket to show off at Makevention in Bloomington, Indiana – an annual celebration of making things. Located at the Monroe County Convention Center, it’s open to the public and a great event! Stop by and see the assembled 12.5 foot tall rocket and also stay tuned to Nick’s YouTube channel. I’m sure he’ll have a video of the launch posted not long after the launch on August 30th!